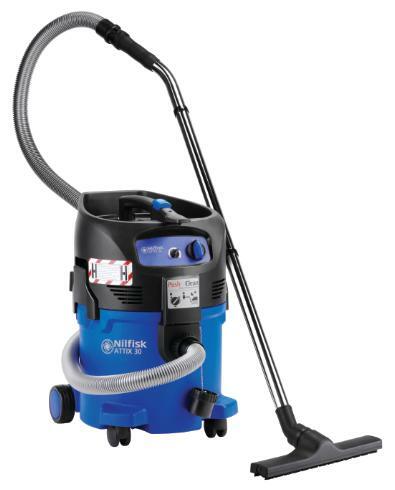 ATTIX 30 and ATTIX 50 are mid-size safety vacuum cleaners with reliable performance and high mobility. Semi-automatic Push&Cleanfilter system keeps the filter clean to increase efficiency and reduce downtime. AntiStatic hose system and Automatic Start/Stop is the perfect feature for Tradesmen who work with power tools.